Patna/Ranchi: A row has erupted following media reports that two "personal aides" of Lalu Prasad were sent to a Ranchi prison to "serve" him, hours before the RJD supremo was lodged there after being convicted in a fodder scam case, drawing criticism from rival JD(U). 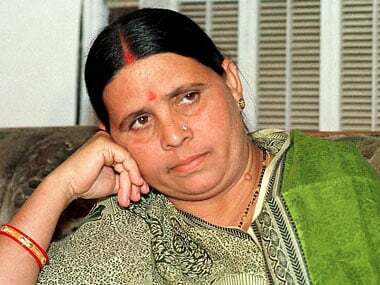 The RJD, however, jumped to its leader's defence, insisting the presence of the — Lakshman Mahto and Madan Yadav — was "coincidental". 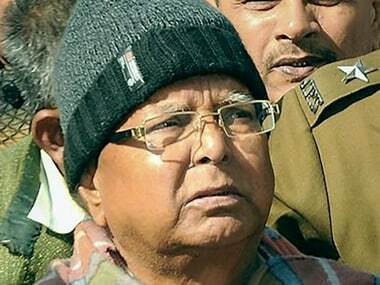 Mahto and Yadav, who were reportedly charged with minor offences, were claimed to be serving Lalu as helper and cook. The superintendent of Birsa Munda Central Jail, where the RJD boss is lodged since 23 December after his conviction in a fodder scam case relating to fraudulent withdrawal of Rs 89.27 lakh from the Deoghar treasury 21 years ago, could not be reached immediately for comments. Other officials were tight-lipped. The JD(U) latched on to the news report to attack the RJD leader, with its spokesman Neeraj Kumar issuing a statement in Patna saying, "Lalu is a person with feudal mindset who could make his party workers go to any extent to serve his personal interest." "This shows that Lalu's commitment to social justice is a sham and he cares only for himself and his family members," Kumar, a JD(U) MLC, said. RJD spokesman Shakti Singh Yadav rubbished the allegation that Lalu "managed" to have his two aides behind bars to serve him, saying their presence in jail was "coincidental", and that the two had criminal cases against them. The nature of offences for which they were in jail was, however, not clear yet. 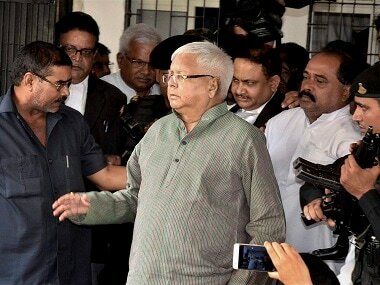 He asked those making the claim that Mahto and Madan were serving Lalu in jail to come up with evidence to back it. "They (the accusers) should show any video footage of the two serving the RJD supremo," Shakti, an RJD MLA, said. When asked if he would want an inquiry into the matter, Shakti shot back, saying "Why? They have been, after all, sent to jail after an inquiry by the police administration and it is for the administration to say anything on the matter."